I have been keeping 2 secrets from you. I know, I am so mean. But today I get to tell you all about them and I am so excited! A little while ago I received an email from Heather Bullard. She was asking me if I'd like to participate in her quarterly newsletter reminiscent of an old fashioned gazette. It will be filled with simple handmade craft ideas, easy DIY projects, delicious seasonal recipes and entertaining ideas all celebrating the joy and beauty of each and every season. You can get your own FREE copy by visiting Heathers blog and clicking on the link! The first issue will be out the first week in March. 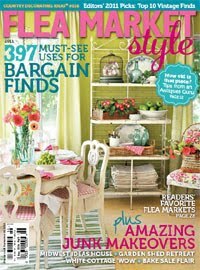 And in other exciting news, it looks like my sweet savannah made the pages of Flea Market Style magazine! I was contacted a while ago by FMS to do an interview. I wasn't 100% positive that I had made it in, but a very sweet email from some very sweet friends last night, confirmed that yes, I am in! I signed up for my newsletter, can't wait to start getting it! Congrats on your spot in the magazine, how exciting! Congrats!! Can't wait to see you in the magazine! Congrats! What an exciting feeling and opportunity for you! YAY! Love the Gazzett...can't wait to get it! And hey--big congrats on your magazine! So exciting! It's a good day! What a grouping of talented women... I am excited! Baited Breath. Melaine, that is so exciting and rightly deserved. I can't wait to see the article as I'm sure it is amazing. Congratulations on both items, Melaine! There's no doubt you deserve it! That sounds like all kinds of fun! Congratulations to you! Congrats to you!! Very exciting news!! I haven't seen the magazine out yet, but I definately will pick it up when I do!! yay! congrats to you! Can't wait to see the quarterly newsletter. Congratulations! Heather is so amazing to work with... I'm sure it was a blast! Congrats! That is one of my favorite magazines! I am headed over to Heather's now to peek at the newsletter! Wonderful news!!! You will be perfect for this. So exciting! Can't wait to see you in the magazine. Congrats on both accounts to you! Off to check out the link to Heather's Gazette. All that sounds exciting. Congratulations. I just registered for the newsletter and look foward to seeing the magazine. What terrific news! You are going to be just fabulous in the newsletter. You have some awesome ideas all the time! I am not surprised that you are featured in Flea Market Style, your blog is one of the best. Take care. Whoo, hoo! What fun news! I can't wait to see the magazine and the newsletter. Awesome...it could only be better if you won the lottery also...triple header! I am so happy to hear about all your good news! 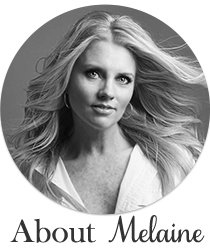 I'm headed straight to Heather's blog to signup for this wonderful sounding newsletter. And tomorrow I'll be keeping my eye out for FMS mag. Congratulations! That's a great opportunity for you! Congratulations on the upcoming Gazette. I read this over on Heather's blog. It sounds like a very exciting project and can't wait to receive it. I'm also a faithful follower and love your style. I just bought the magazine last night. Congrats! Your blog is my absolute favorite!! Congrats, so excited for you my dear, can't wait to get my hands on the magazine!! yipee, time to celebrate, right?!! Blessings friend on this exciting day! I cant wait to see what you come up with, if my house could send comments it would thank you for all the great project you have helped it to be decorated with!! Great job you deserve it! Hi Melaine! I am so happy and thrilled for you. You are so talented and everyone will love what you write and contribute. I still have not found a copy of Flea Market Style...where are they anyway? YES! That is how I found your blog. Great job!! I'm not surprised. You are so talented and have such a great way of expressing yourself. Congrats!